Usually the kind of stuff treasure hunters armed with metal detectors pick up off the beach is of the loose change and worthless crap variety. But every now and again, something valuable shows up just begging to be reunited with its long lost owner. Such was the lucky case for a man who lost his gold class ring 35 years ago. He was surfing off Bolinas beach in 1979 when the ring slipped off and was lost to the waves, reports the San Francisco Gate. 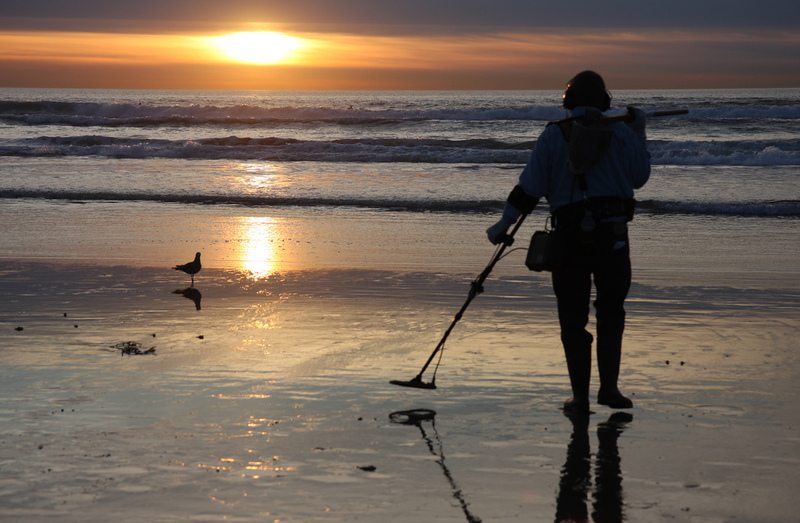 Then two weeks ago, a treasure hunter poking around at low tide with his metal detector heard a promising beep. Ten minutes of digging through a foot of pebbles rendered the ring lost 35 years ago, bearing the letters of the high school and the owner’s initials engraved inside. While many people might be like, “Hey, free ring!” the tireless treasure hunter dug through alumni records and tracked down the surfing owner. He emailed him to meet him at a Whole Foods if he wanted the ring back. “I’m shocked. Amazed. Overjoyed. Life has a way of continuing to surprise us. Thanks,” he told him.